Happy Friday! This is a great easy and simple cookie that everyone should have in their arsenal. They are soft, yet chewy, and super buttery tasting. I love how light in color they are, it really makes the m&m's stand out beautifully. Give them a try soon! 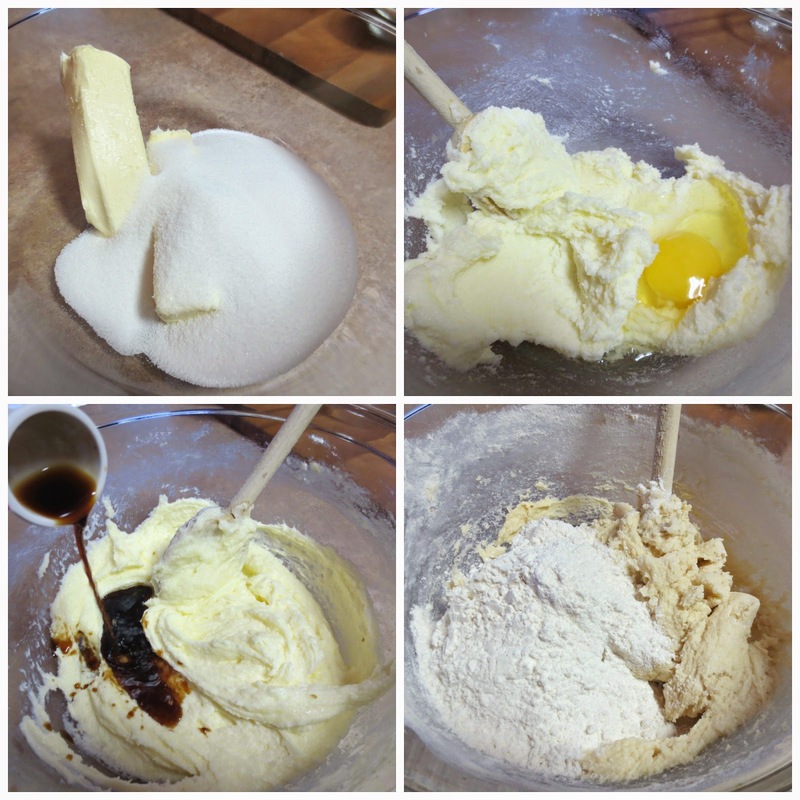 In the bowl of an electric mixer, or by hand, cream together the sugar and the butter until light and fluffy. Add eggs, one at a time, beating well after each addition. Mix in the vanilla extract. Whisk together the flour, baking soda, baking powder and salt until combined. Gradually add flour mixture to the wet mixture until everything is evenly combined. 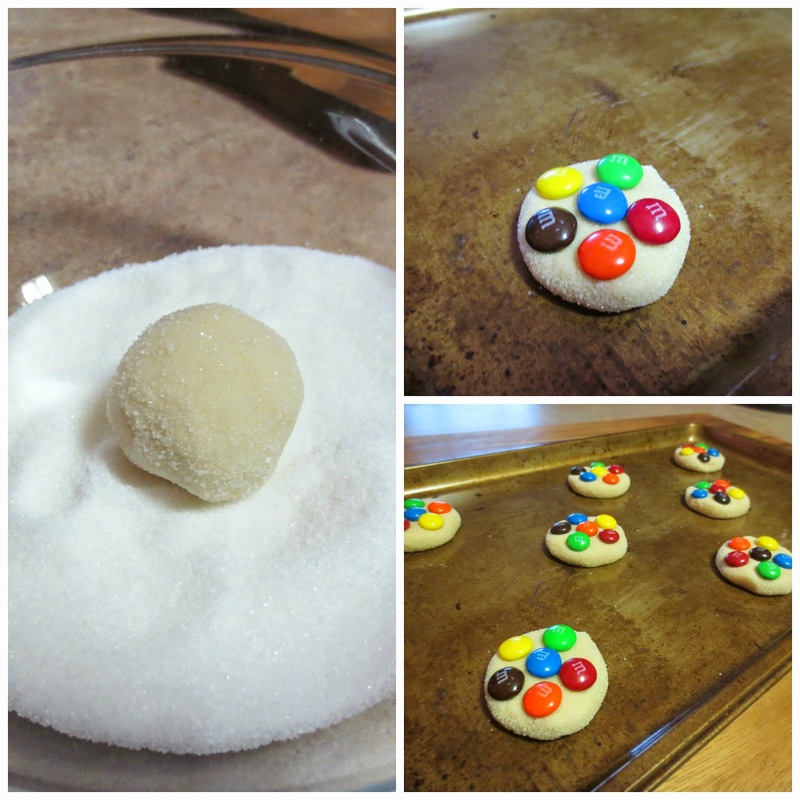 Using a small (tablespoon size) cookie scoop, take each scoop and roll into a ball, then into the sugar and place on a ungreased cookie sheet and slightly flatten. 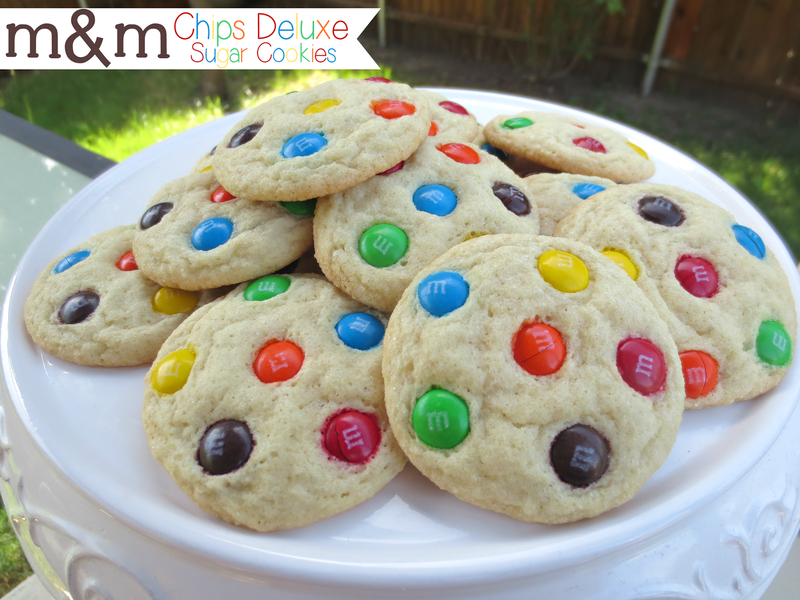 Press desired amount of m&m's on the tops of each cookie before putting in the oven. Bake 9-11 minutes, making sure not to over cook them. You want them to be light in color, I baked mine for 9 minutes and they were perfect. Transfer to a wire rack to cool. Store in a air-tight container for up to 3 days. So glad you are back!!! I have missed your posts.